Skin SecretsOxy- Pearl Kitis full of sea oil & sea minerals. Research has revealed that pearls contain a combination of natural substances that help to improve rejuvenation of the skin cells. Our company has created a niche in the field of offeringDiamond Kit Mini. Every soul dreams of standing out of the crowd and exude an unmatched glow on their skins. As a quality-oriented organization, we are focused to provide our clients excellent qualityFacial Kit. 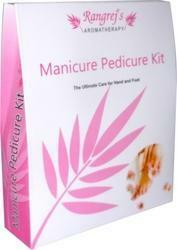 We have an eminent name for offering a vast array ofManicure -Pedicure kit.This product is manufactured using only quality tested materials. 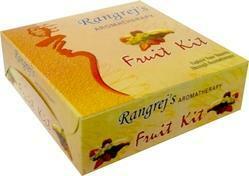 Catering to the needs of our customers we are engaged in offering a wide gamut of Herbal Facial Kit. With the aim to meet the quality parameters set by the industry, we are formulating this range using quality tested ingredients obtained from famed vendors of the market. 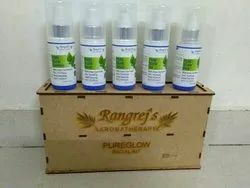 Our products are high in demand for its effectiveness and purity, this range is provided in various sizes packing as par their requirements. 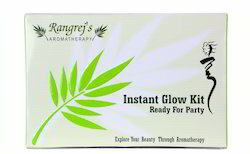 Rangrej's Aromatherapy Pure Glow facial kit enriched with Green Tea extracts. It gives excellent glow to the skin. 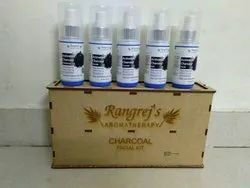 Rangrej's Aromatherapy Charcoal facial kit made with Activated Charcoal. It removes skin impurities, dirt and pollutants from the skin. 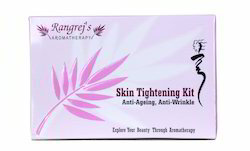 It detoxify the skin and gives excellent glow to the skin.